CHOTU SUNIL: Warlis painting-Position of Classical dance..
Warlis is one of the Art of tribe people.They have their own animistic beliefs,life,customs and traditions,as a result of acculturation they have adopted many Hindu beliefs. 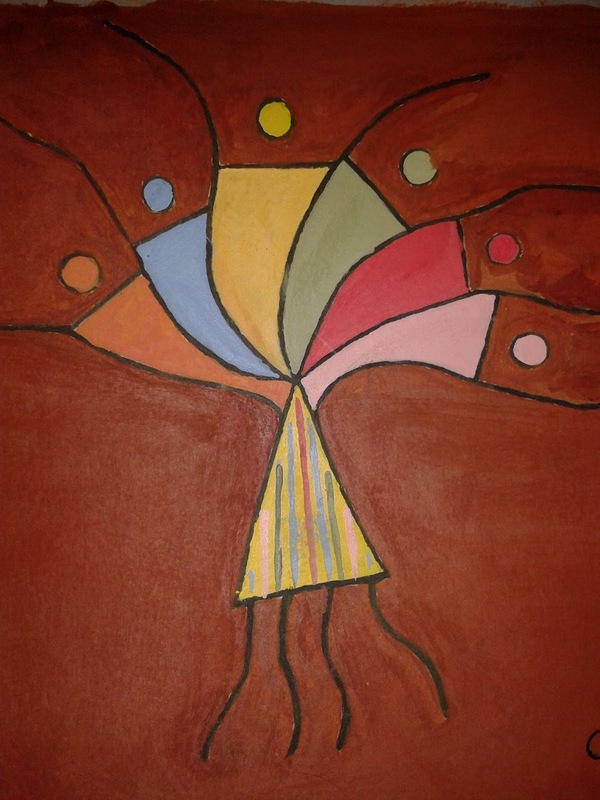 This Warlis painting is about the the positions of classical dance. Generally the Warlis painting will be done a set of individuals, say set of marriage, set of village people. But here my creativity is, i have clubbed all the position of classical dance in one Warlis picture..
and you're simply too excellent. I really like what you have bought here, really like what you are saying and the way in which by which you are saying it. You make it entertaining and you still take care of to keep it sensible. I can't wait to learn much more from you. I as well am an aspiring blog blogger but I'm still new to the whole thing. Do you have any recommendations for beginner blog writers? I'd definitely appreciate it. What's up, every time i used to check web site posts here early in the dawn, since i enjoy to gain knowledge of more and more. It's amazing to visit this website and reading the views of all friends concerning this article, while I am also eager of getting familiarity. I am now not positive whether or not this put up is written via him as no one else know such specific about my problem. I'll be subscribing to your augment and even I fulfillment you get right of entry to consistently rapidly. work and reporting! Keep up the very good works guys I've you guys to blogroll.